Amruta has worked with a diverse population of patients in a variety of settings, including a Level 1 trauma center, a subacute facility and a large metropolitan medical center. After focusing on treating outpatient orthopedics and chronic pain conditions, Amruta realized her true calling was pelvic health, pregnancy and post-partum physical therapy. As a mother of two daughters and having recovered from a difficult C-section, she very much appreciates how critical the role of physical therapy is in restoring a woman’s health. She believes in a total body approach to treatment and appreciates the mind-body connection. Throughout her clinical journey, she has understood with conviction that the “body never lies” and that listening to your body is the first step towards healing. In addition to continuing coursework in pelvic floor rehabilitation through the Herman-Wallace Pelvic Rehab Institute, Amruta is currently pursuing a certification in Pranic Healing, an advance energy healing technique, which complements her physical therapy treatments. 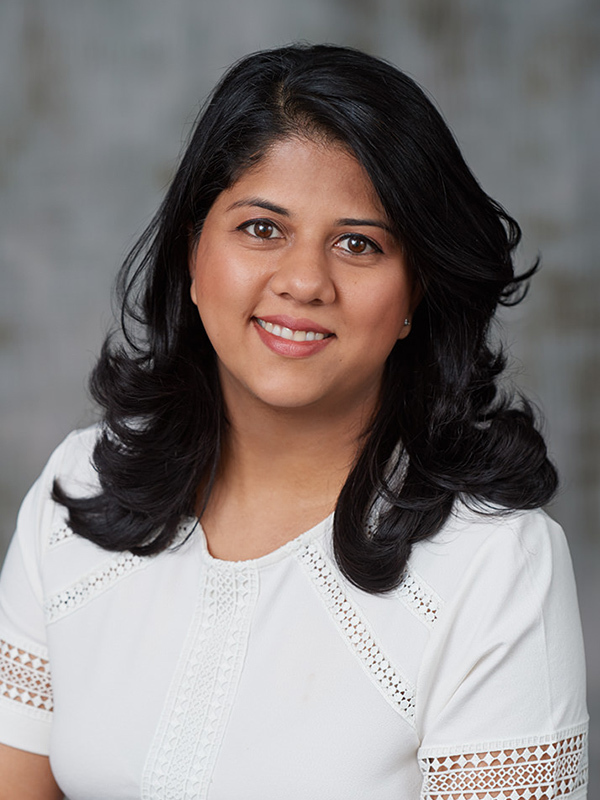 Amruta continues to pursue advanced manual therapy training, including Visceral Manipulation and Neural Manipulation, through The Barral Institute, along with further studies in Craniosacral Therapy with the Upledger Institute. Amruta graduated as a valedictorian from LTMMC College of Physical Therapy in Mumbai, India. For two years she practiced in India, where she learned the techniques of combining traditional exercise with yoga and pranayama exercises. She received her Master of Science degree in Biomechanics from the University of Florida, where she received the Best Junior Researcher award, and attained her Doctor of Physical Therapy degree from MGH institute of Heath Professions, which is a clinical affiliate of Harvard Medical School. Outside of physical therapy, Amruta loves to spend time with her husband and two daughters. She also enjoys running, hiking, yoga, cooking and listening to Indian classical music.